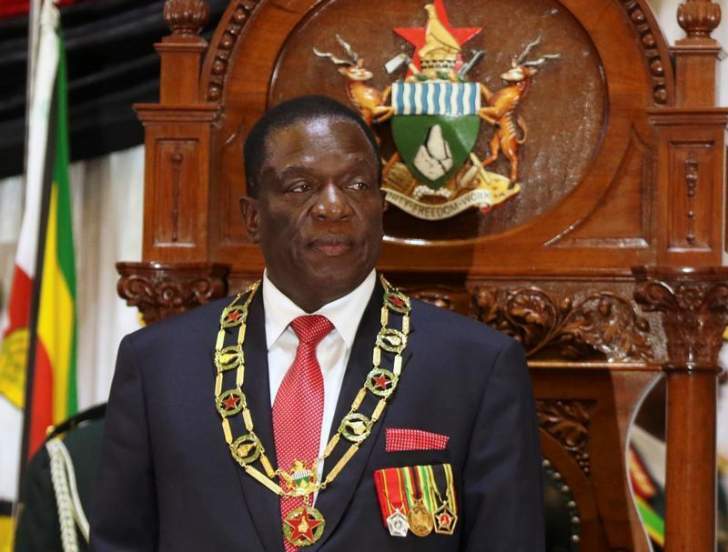 PRESIDENT Emmerson Mnangagwa has hinted on his possible seeking of a second term but vowed he will not cling on to power beyond the two terms of office prescribed by the country's Constitution. He was speaking in an interview with CNN's television host Christiane Amanpour Friday. The President is in the United States of America for the United Nations General Assembly. "With the new Constitution which came into effect on the 22nd of May 2013, we have now limited the terms of presidency to two terms, if you are able to have two terms, then the maximum a person came have are two terms. But beyond that, No, the Constitution forbids. "I would like to entrench Constitutionalism in Zimbabwe, I will still go away," Mnangagwa said. The 76-year-old leader Mnangagwa, who was deputy to former President Robert Mugabe, muscled his way to power in a military assisted coup November last year but later secured a popular mandate when he scrapped a narrow victory in the July 30 elections. Vice President Constantino Chiwenga, viewed as harbouring presidential ambitions, is reportedly keen on seeing Mnangagwa serving a single term and allowing him to serve his own as the country's number one. But in his comments, Mnangagwa hinted he may try to seek another term at the end of his five year term, insisting he will not exceed 10 years, even if the people still wanted him to stay. "I will abide by that without any iota of resistance at all. Even if the people would love me to the hilt, I will still go away because I believe constitutionalism is important and in fact, you must give your people a chance to have other people coming. Ten years is not a short period in my view," he said. Mnangagwa described former First Lady Grace Mugabe as "something else" but did not pass further comment about her when he was asked about his poisoning ordeal at a Zanu PF rally August last year. He admitted he was indeed poisoned and did not know what was happening for two days. He credited his survival to VP Chiwenga whom he said facilitated his flying to South Africa to receive some treatment.